Our full line of Ornamental Aluminum Fencing offers the homeowner the look of Wrought Iron Fencing at a fraction of the cost and without any of the maintenance. Aluminum Fencing does not rust and will provide an elegant look with the benefits of security & containment. Capital Fence only supplies Aluminum Fencing that has an Electrostatic applied powder coated finish (not painted) for durability and many years of enjoyment. Our Aluminum fencing has the ability to follow the steepest of grades, that is, to be installed along a slope without unsightly “stair stepping” of the fence panels. 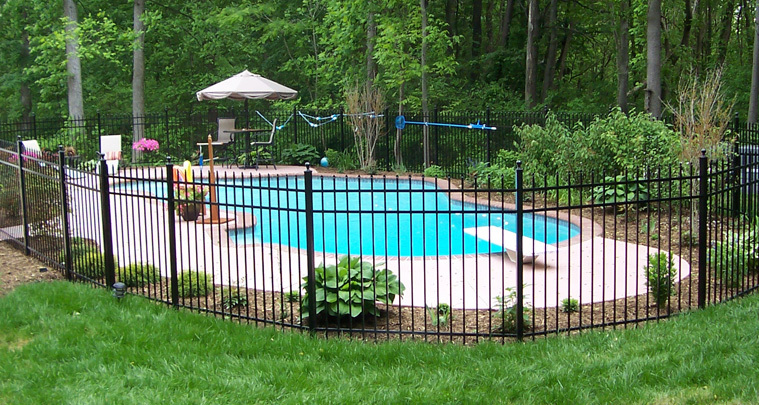 Aluminum fencing comes in numerous heights, styles and colors. We also offer many options such as rings, finials, post caps and latches. Our Aluminum Fencing comes in three grades; Residential, Commercial or Aluminum to meet every applications need.